Backstreet's back -- and so is the Swine Flu. 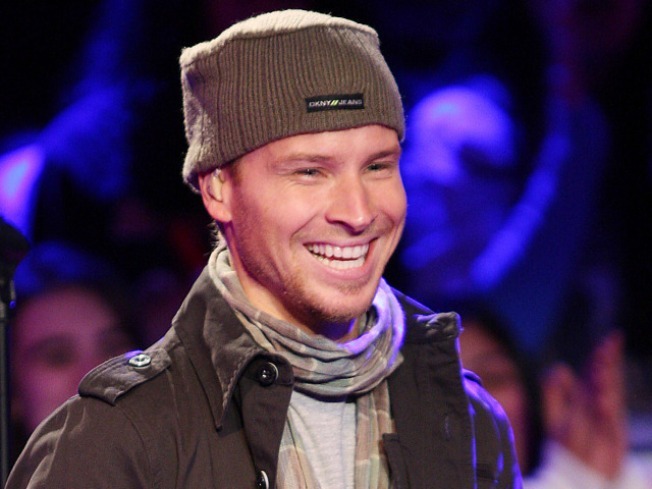 Backstreet Boy Brian Littrell was diagnosed with the Swine Flu this week, according to the band's official blog. The other three members of the band, Nick Carter, Howie Dorough and A.J. McLean, saw a doctor and haven't yet exhibited any symptoms, the blog read. The band had just returned from a jaunt to Tokyo and were expected to play the CBS Early Show Tuesday morning, but have canceled that date pending Littrell's recovery. The Backstreet Boys also called off Monday night's signing at the NYC PINKTOBER Hard Rock Cafe. "We were really looking forward to spending time with our closest fans and friends in NYC and take part of PINKTOBER, an unbelievable and important program," Littrell said. "I hope we can come back soon and do everything we can to help." There was no word as of yet on Littrell's condition. The band and its entourage have all taken Tamiflu, according to the blog. Their new album, "This Is Us," will be released Tuesday morning on Jive Records.